Multi-award winning developer, LBS Bina Group Berhad (LBS) mid-income home buyers deserve a property option that incorporates style, security, convenience, and most of all, an affordable price tag. 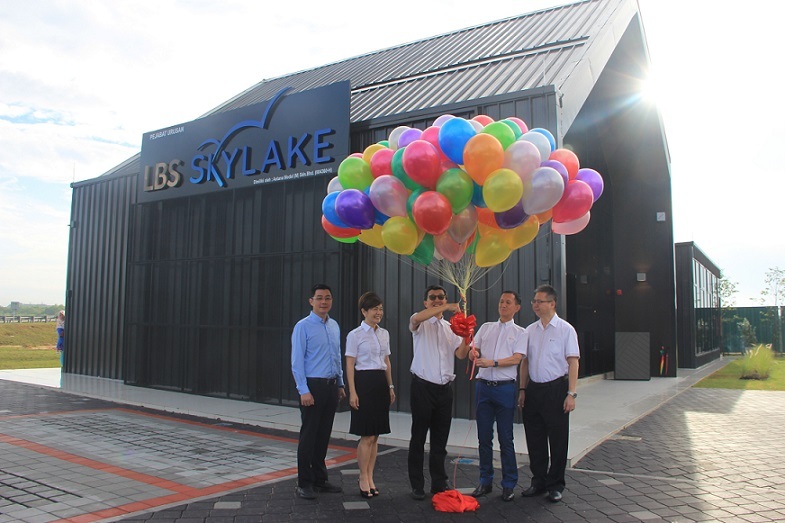 In of the national agenda to increase home ownership, LBS recently launched LBS SkyLake Residence, its latest affordable lakeside residential development located in the ever-burgeoning township of Puchong. “LBS continues to be focused on delivering quality homes in the affordable segment. I believe we need to be creative and innovative when it comes to developing affordable homes today. In this day and age, homebuyers, be they young families or young adults, look for value added features that match their individual lifestyle,” said LBS managing director Tan Sri Lim Hock San. All smiles at the ground-breaking ceremony of the project. He added that LBS SkyLake Residence is proof that style and affordability can go hand in hand. Taking shape on 5.079-acres, LBS SkyLake Residence comprises two blocks of service apartments with a total of 746 units. These are available in several built-up options, ranging from 545sq ft to 1,063sq ft. The variety of unit layouts, said Lim, is to cater to a wide target market, which includes single professionals, young families or savvy investors. Priced from RM250,000 onwards, the stylish designs, well-planned landscapes and value-added features of the project is positioned to raise the bar for homes in the affordable segment. Leveraging on a strategic location, LBS SkyLake Residence combines sophisticated comforts of city-living with the lush greenery of its natural surroundings, embodying it “Nature & Nurture, Both Are Yours” concept. The lakeside development also aims to renew the living experience, creating a family-oriented environment complimented by thoughtful designs as well as retail, educational, healthcare and shopping amenities. With convenience the main focal point, LBS has made a concerted effort to equip LBS SkyLake Residence with a complete set of facilities. Residents can maintain an active lifestyle through some of the 70 facilities made available. These include a swimming pool, aqua gym, basketball pool, futsal court, hammock garden, silver station, outdoor gym station, jacuzzi, picnic lawn, maze garden, basketball court and jogging track. 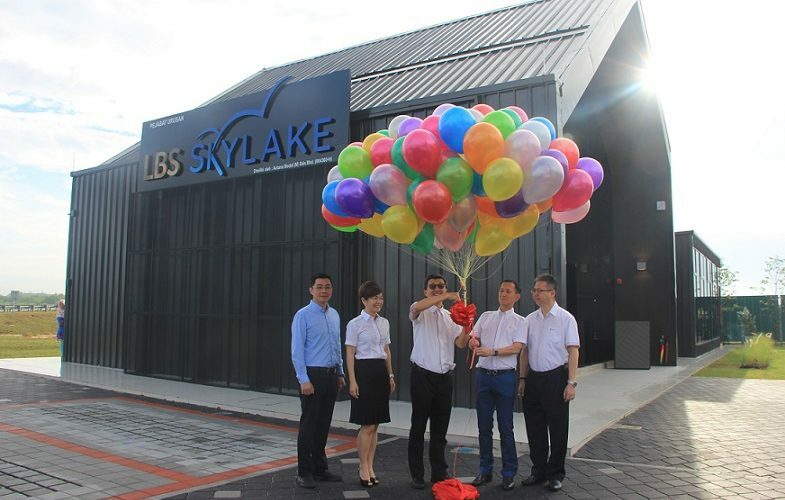 To entertain guests and family visitors, LBS Skylake will host an in-house café, indoor games room, kids bowling, adventure playground, water playground, kid’s pool, BBQ forest, Wifi corner, TV Room, and signature tree concourse among others, all located within the residential compound. Tan Sri Lim Hock San (centre) officiating the ground-breaking ceremony with (from left) ML Global CEO Datuk Richard Lim and LBS executive directors Dato’ Cynthia Lim, Datuk Wira Joey Lim Hock Guan and Dato’ Alan Chia. Security-wise, single access entry and exit point with round-the-clock guard patrols ensure a greater sense of comfort for residents. The projects central location allows quick access to other mature neighbourhoods such Sunway, Putrajaya and Cyberjaya. Also nearby are shopping malls and hotels, tourist attractions, as well as educational and medical institutions. LBS SkyLake Residence is accessible via the Damansara–Puchong Expressway (LDP), North–South Expressway Central Link (ELITE) and The Maju Expressway (MEX). The site is some 15 minutes from Bandar Puteri Puchong, 25 minutes from Petaling Jaya and Bukit Jalil, and a mere 30 minutes from Kuala Lumpur International Airport (KLIA).